gift wrap options gift wrap options (required)Yes Please! 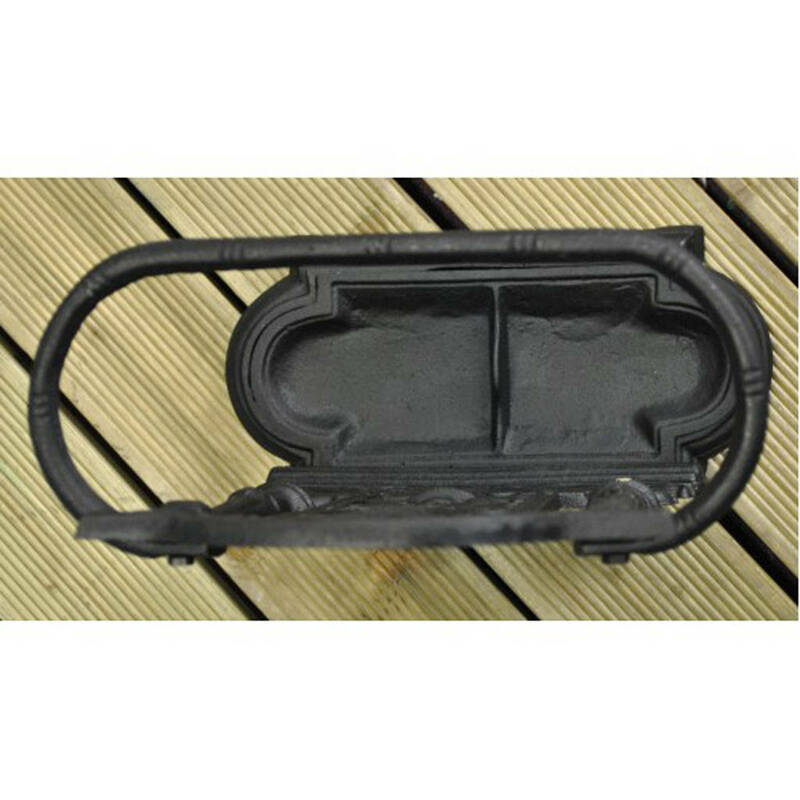 With a Blank Gift Tag (+ £5)Yes Please! With a Hand Written Gift Tag (+ £5)No Thanks! gift wrap options (required)Yes Please! With a Blank Gift Tag (+ $9.08)Yes Please! With a Hand Written Gift Tag (+ $9.08)No Thanks! gift wrap options (required)Yes Please! 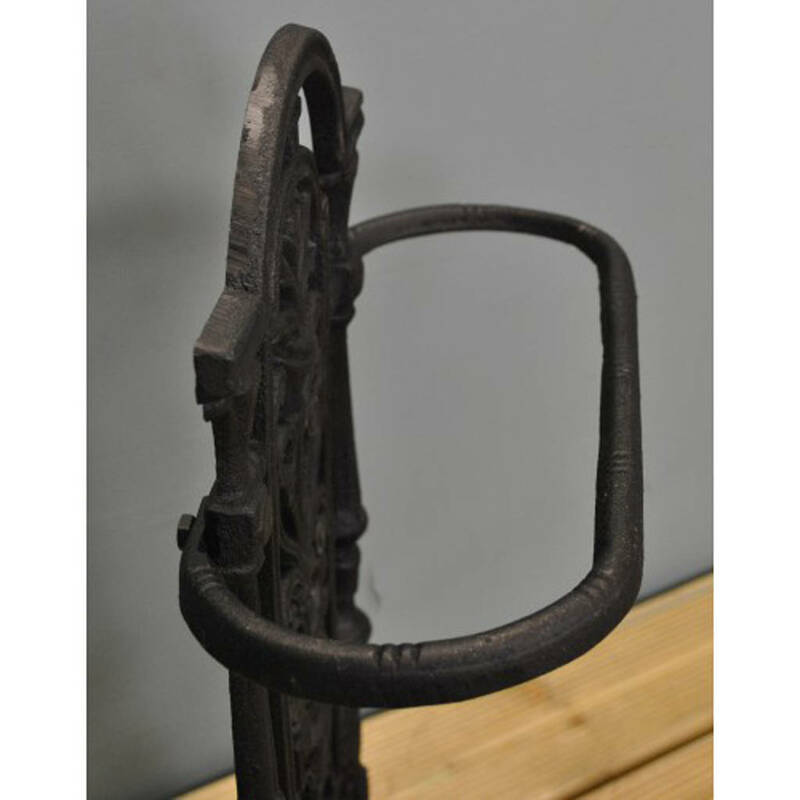 With a Blank Gift Tag (+ €5.90)Yes Please! With a Hand Written Gift Tag (+ €5.90)No Thanks! gift wrap options (required)Yes Please! With a Blank Gift Tag (+ $7.25)Yes Please! With a Hand Written Gift Tag (+ $7.25)No Thanks! 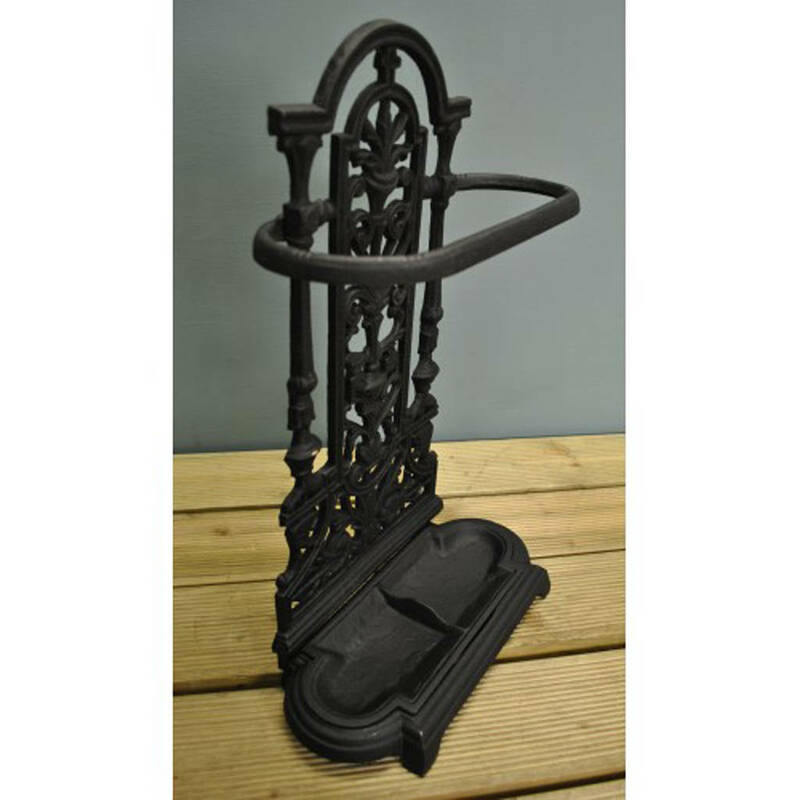 This black cast iron umbrella stand makes a perfect addition to any entrance hall, porch, garden room, boot room or conservatory. 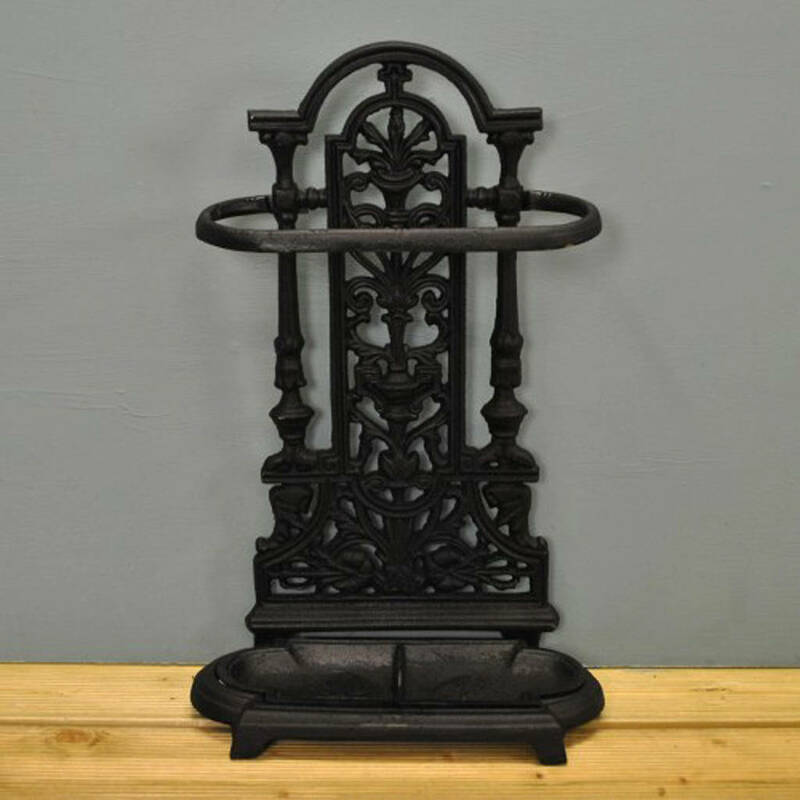 Organize umbrellas, walking sticks, hockey sticks, tennis rackets and all that other hallway clutter in this decorative country house umbrella stand. 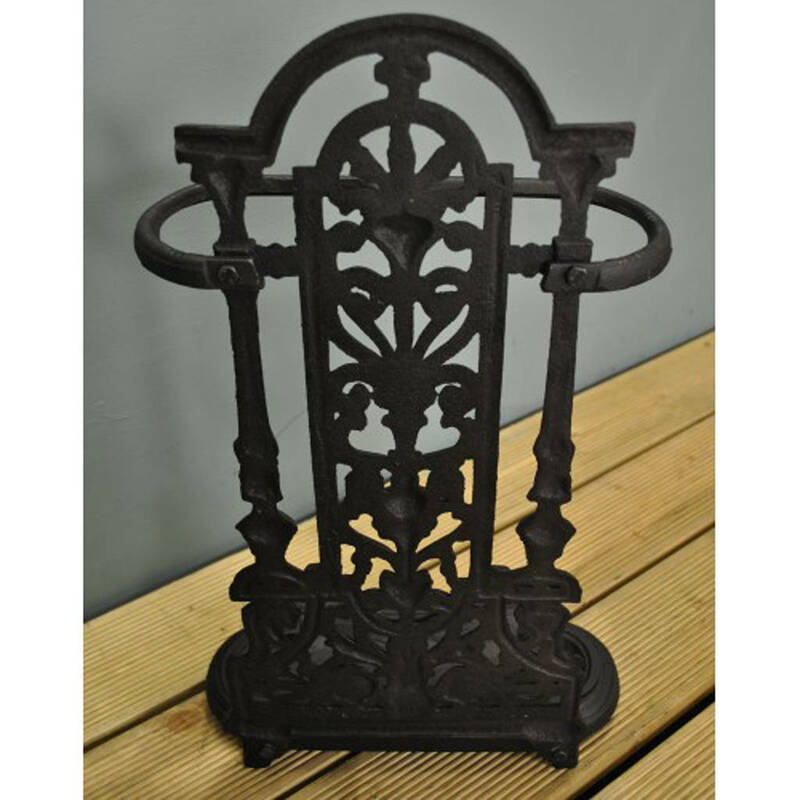 The cast iron will continue to age over time rusting and maturing still further enhancing the natural beauty of this umbrella stand. 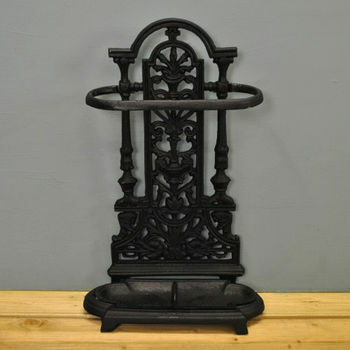 This practical yet highly ornamental stand looks good gracing any porch or hallway. 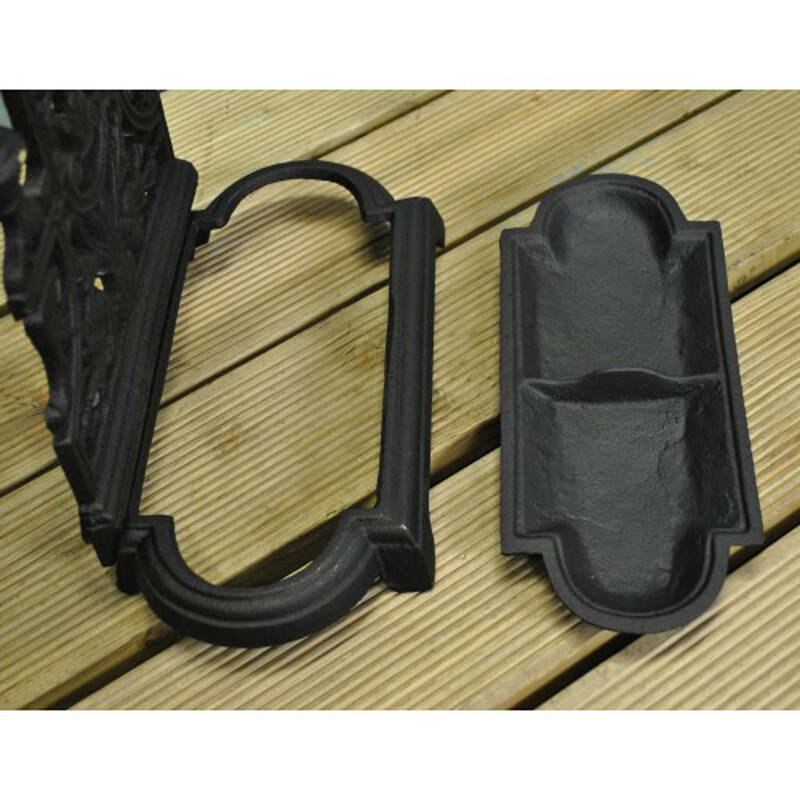 It's also perfect for providing convenient storage for wet wellington boots, shoes, walking sticks and umbrellas. 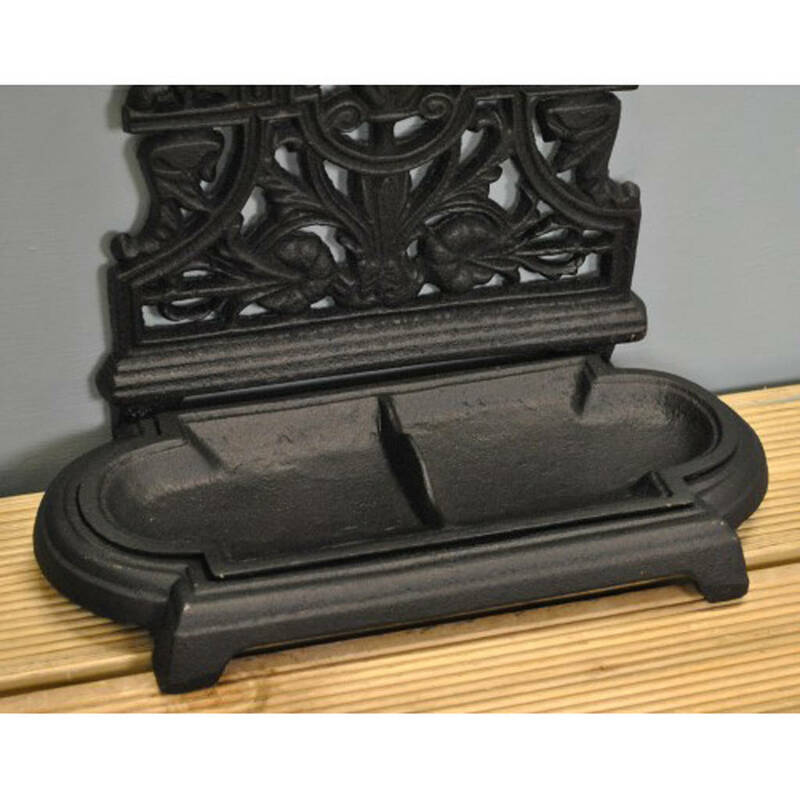 A durable and heavy duty storage solution, at once both decorative & practical, it makes a lovely gift.